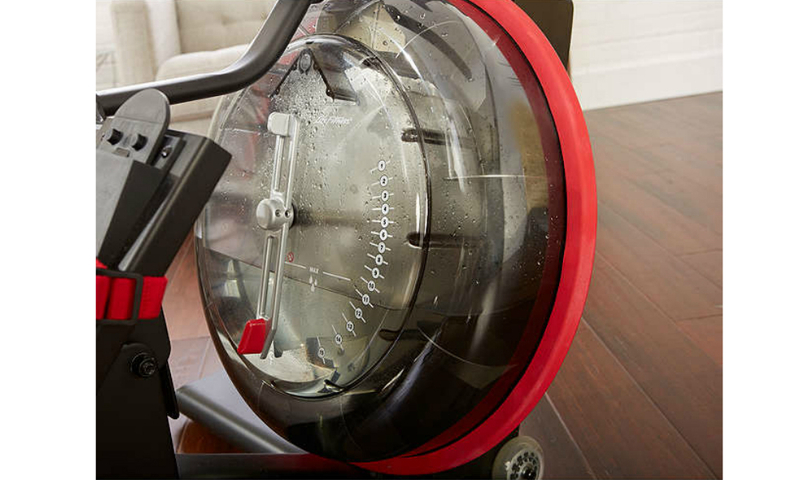 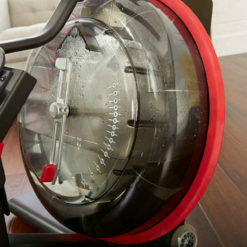 Designed with fluid technology resistance, the Row GX uses water to power the resistance. This offers incredibly natural motion, simulating the sound and feel of a real rowing experience, whilst engaging the whole body. 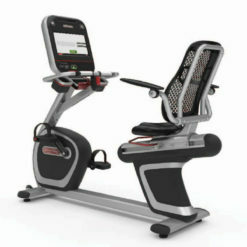 With 16 resistance levels, it can challenge very user, from the newbie to the seasoned campaigner. 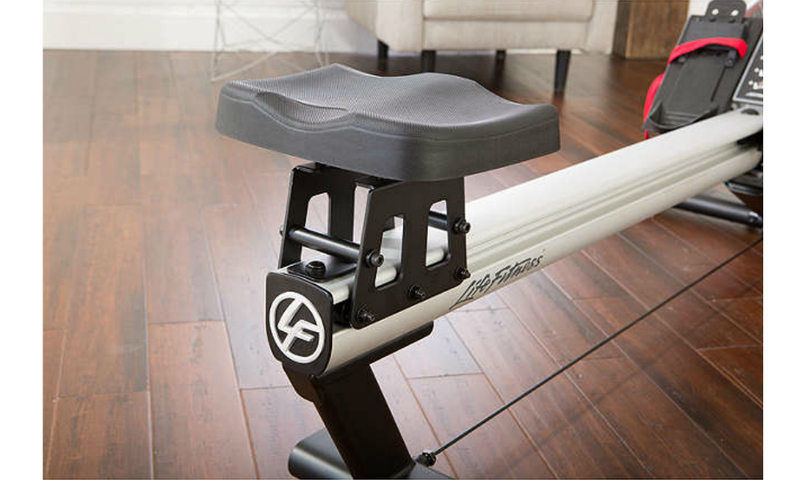 The simple to use console shows all your key workout stats including time, distance and strokes per minute and the ergonomic handle guarantees reduced strain on the arms and wrists. 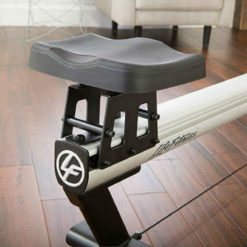 Cushioned Seat – The seat on this rower is contoured and cushioned, perfectly positioned for comfort. 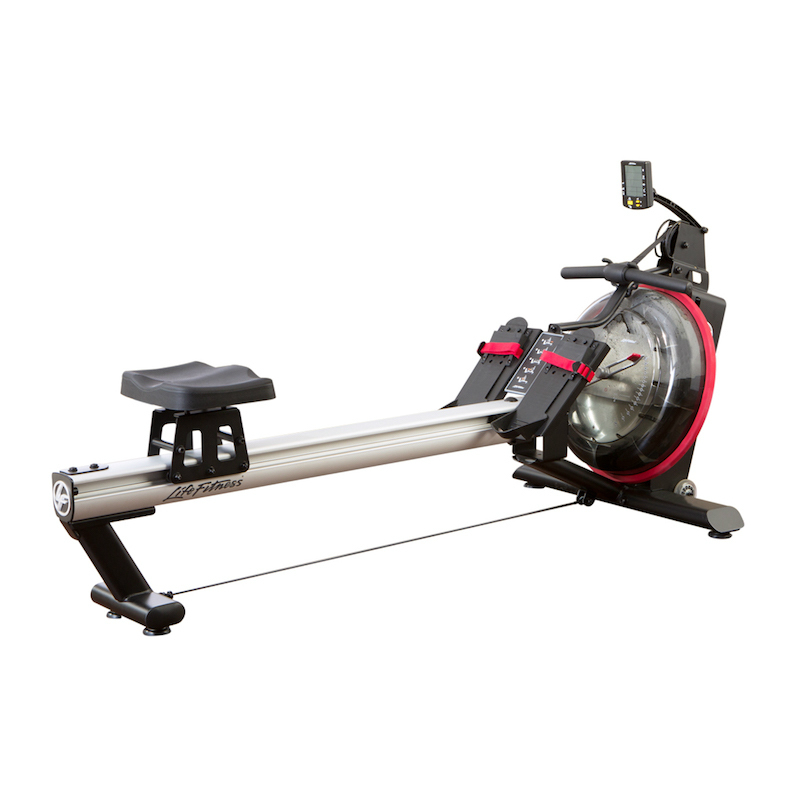 Folding Design: Designed to be folded vertically for easy storage, this rower is ideal for in-home use, or for use in a gym where moving rowers around for group classes is required. 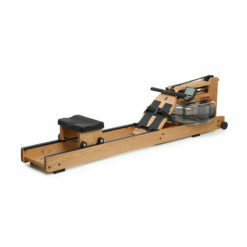 When folder, the rower is just 71” tall. 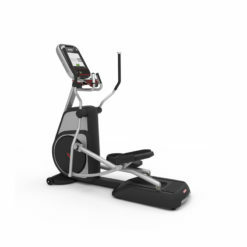 High Quality: Enjoy the Row GX in a gym or at-home with the durability from a brand like Life Fitness. 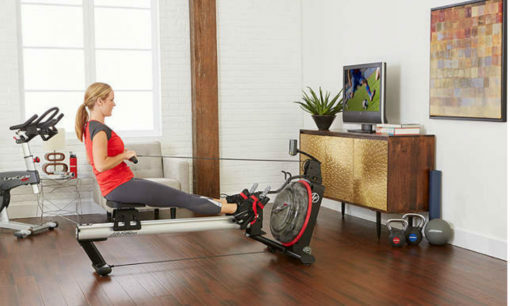 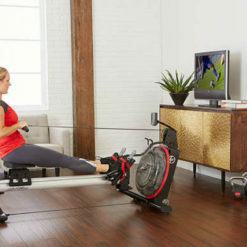 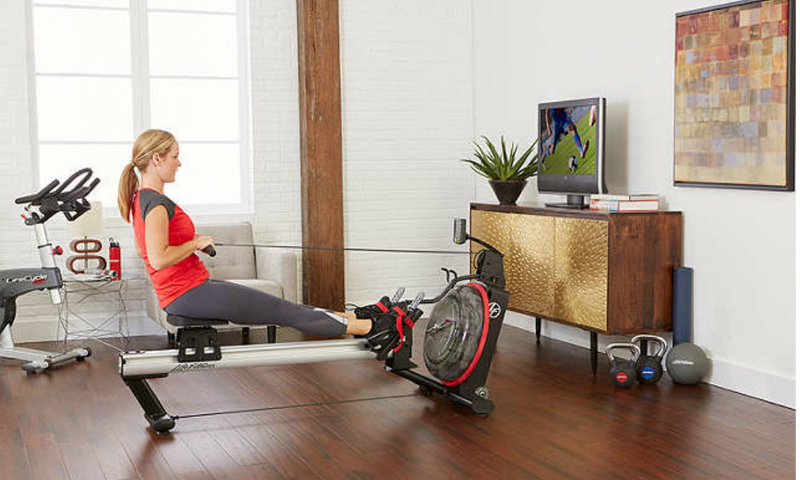 This rower requires little to no maintenance, and with a 330 pound max user weight, it’s ideal for areas of high-traffic with multiple users. 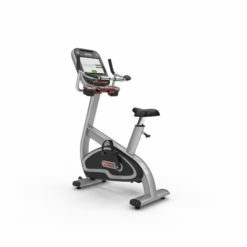 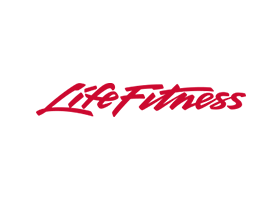 Data: Keep track of your workout with an easy to read display featuring the essential information like 500m split time, strokes per minutes, calories burned, and time elapsed. 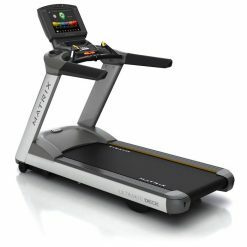 Smooth Operation: The Row GX Trainer is unique with its Fluid Resistance Technology system that creates a smooth and natural feel using the natural elements of water and a well-designed railing system. 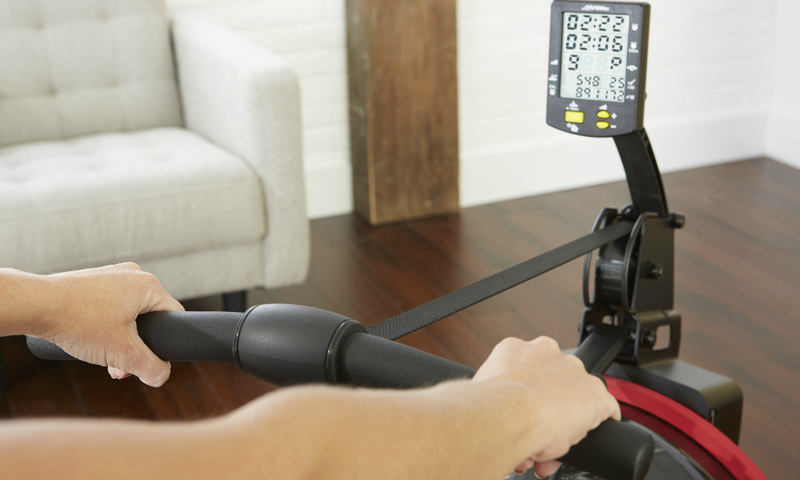 Using water resistance via a refillable tank, this rower is biomechanically designed to recreate the actual feel of rowing on the water.